We are proud to make this announcement that our friends from the “Institute of Mathematical Machines and Mandala Robotics” secured the first and second positions in the “Autonomous Robots International Competition: ERL Emergency 2017” held recently at Piombino, Italy. Their robot uses MooseFS driven storage for 3D Scanning, 3D Mapping, and 3D Modelling. 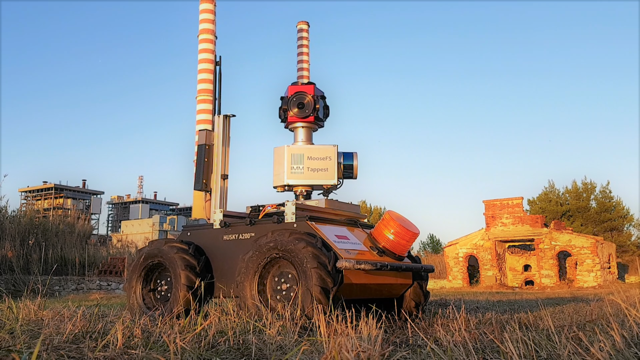 The Robo t needed to perform multiple high-level functions simultaneously like Modelling & Mapping its processor, managing its control station, performing AI-driven automatic object recognition to mention among a few, and this required robust parallel access to data which was supported by MooseFS. Additionally, MooseFS allowed a significant amount of data to be processed in real-time. 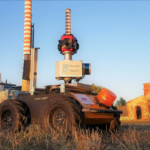 This feature facilitated Robot’s multiple 3D scans along with 360° video to cover the entire investigating area. This is an excellent example to showcase one of the many benefits that MooseFS provides to its customers! We are excited to tell you all that we participated in the ISC exhibition at Frankfurt am Main. During the event, we got the opportunity to introduce our customers with two of the latest MooseFS features: MooseFS 4.0 version and MS Windows client. Our newest product is being tested by a group of our current customers. If you too would like to try these tests, then please let us know. Why should you be interested in MooseFS 4.0? Well, that is because it has an entirely different approach to data redundancy. Here, we have implemented erasure coding to the software with great results. You will be able to use up to 50% less RAW data space while maintaining the same redundancy level for your data. Also, it has an improved user interface where you can manage your settings mostly at the web browser level. MS Windows client is finally complete. It is already attached to the 4.0 version and can be implemented to your current 3.0.92 installation. It was highly requested by many of our clients and happens to be also tested by those who replied to our call for testers. If you would like to try it out, please let us know. Please stay tuned in for any news on High-Performance MooseFS applications including InfiniBand and 100 Gbps Ethernet networks! We are pleased to inform that MooseFS team participated in – Cloud Expo at New York! Our clients got the opportunity to meet our team at Cloud Expo which took place on June 6-8 at Javits Center. We provided our customers with a free gold pass for the event. Please stay in touch to know the latest developments taking place in the MooseFS arena. MooseFS team had put up their exhibit at the SuperComputing Conference 2016 held in Salt Lake City, United States. This event attracted everyone worldwide from the High-Performance Computing (HPC) and networking industry. The event provided us with extensive and targeted opportunities for exposure and in-depth interaction with our core customer audiences. With the help of a powerful live network infrastructure called SCinet, we got the opportunity to showcase MooseFS features and applications to our prospective clients. We also discussed the benefits of using MooseFS with the conference attendees at the Birds-of-a-Feather (BOF) sessions which provided an excellent platform for in-depth discussion. We plan to attend more such events in the future and would be glad to meet you on such great Technical Conferences. Stay tuned for more such information!